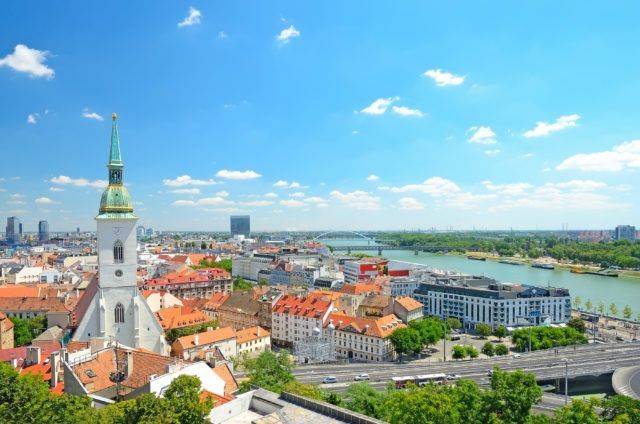 Interest in Bratislava as a tourist destination is increasing. While the number of visitors has already surpassed one million this year, Bratislava city council would like to see more congresses and meetings held here. To lure more business clientele to the Slovak capital it is offering the Mirror Hall in the Primate’s Palace as a site for cultural and social events accompanying business congresses or conferences. Most tourists arrive from the Czech Republic, Germany and Austria. The number of visitors from Spain and Russia have increased by tens of percents this year too. Statistics show that visitors are also spending more time in Bratislava as there is a decrease in the number of one-day tourists. Now tourists are on average spending 2.2 nights in the capital. “Many business persons active in MICE tourism were telling us that Bratislava does not have such representative rooms in which participants of congresses may meet at a high level,” said Nesrovnal, adding that the Mirror Hall certainly is such a premisis. Bratislava would like to see more business visitors as MICE (meetings, incentives, conferences and exhibitions) tourism is the most lucrative part of the industry. As Nesrovnal pointed out this area of tourism has a high added value because much more money is spent on it. It also brings a different clientele to the city. This is the reason why Bratislava city council decided to offer the Mirror Hall in the Primate’s Palace as a site for cultural events related to MICE tourism.